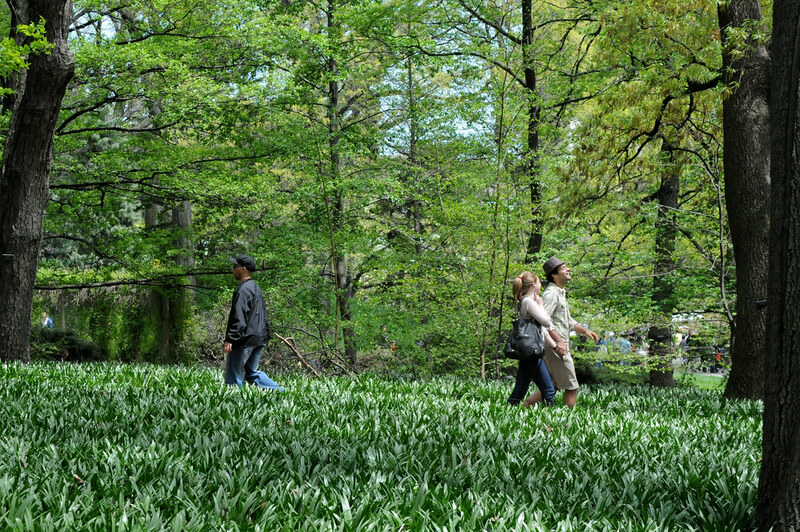 More than 45,000 bluebells (Hyacinthoides hispanica 'Excelsior') are planted under a mature stand of oak, birch, and beech trees just south of Cherry Esplanade. In late April, the bluebells burst into flower and create an enchanting woodland display. Sunday was a perfect day for a stroll through Bluebell Wood. Photo by Mike Ratliff.